« When Young Pro-lifers Raise Their Voice: Huge Victory in San Francisco, Planned Parenthood Loses “Medical Waste” Company. On October 16th, you can stand out and be a voice for them by being silent for the day. When this student asked me, a spark went off in my head. I replied, “What if we got students to not only act in solidarity with others, but also with the children that are dying every day?” As soon as I said it, I knew God had set something in motion inside of me. At the time, I was one person working from the basement of my home with a computer, a web site, and a small e-mail list that I had been collecting for a few months. I wasn’t really sure what could be accomplished with that, but I offered it to God and started sending out emails. We asked the students to take a vow of silence for a day, wearing red duct tape with the word “life” or “silenced” and to pass out fliers explaining their silence to fellow students. We asked them to wear pro-life t-shirts or make custom shirts with the pro-life message or wear red armbands to identify themselves as participants. Now, something that started its first year as just a few thousand students from 300 campuses has grown into a world-wide outpouring of love and action. Tuesday, Oct 16th will mark the eleventh annual Pro-life Day of Silent Solidarity, and ever year we have students from thousands of campuses in dozens of countries stand together in solidarity. We have heard of over a thousand girls who have cancelled abortions because of this day every year. Will you join us this year? 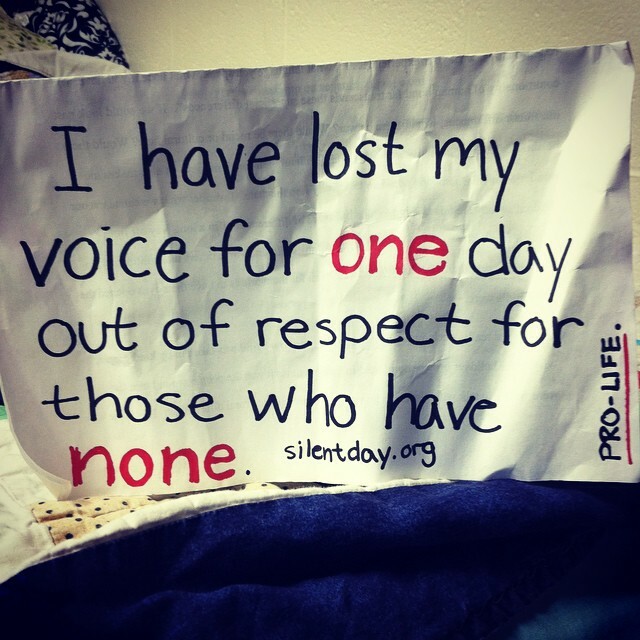 Will you give up your voice for those who will never have one? 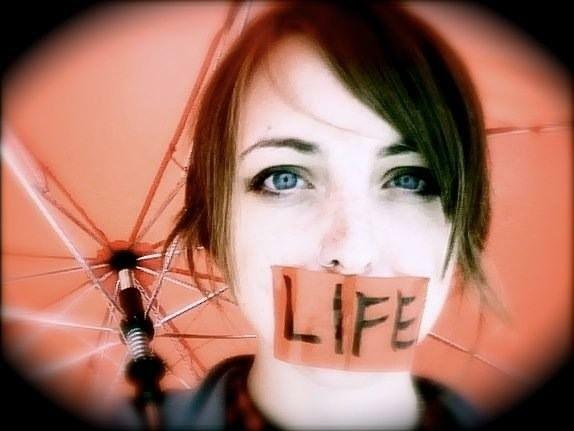 Hearts are being changed, babies are being saved, and women and men are being spared the trauma of post-abortive pain. People are coming together in unity to promote a culture of life. 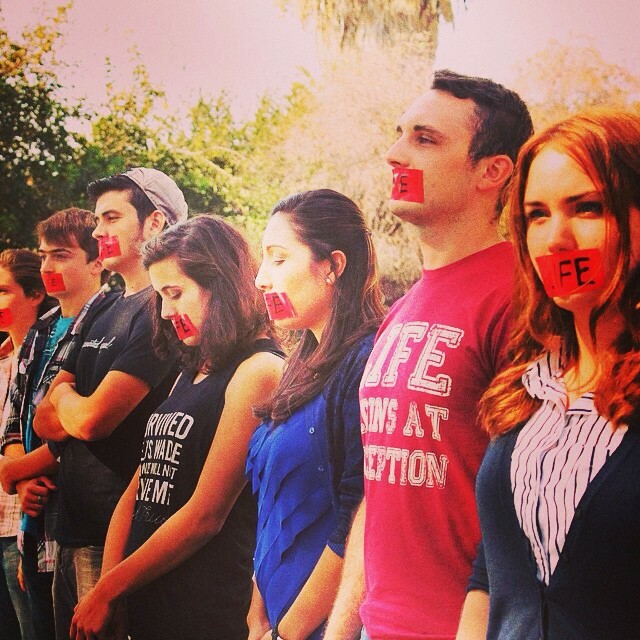 Personhood is being restored on campuses across the nation. I really cannot take any credit for the success of this movement. It is only God who grants us the power to do this. I was one person who listened to God and, through Him, acted on the vision He gave me. If you have an idea, a vision or dream, don’t be afraid to stand up and let your voice be heard. Don’t doubt what you can accomplish with Christ. Don’t think that because you are just one person you can’t make a difference. “I have a dream”–a statement powerfully spoken by Dr. Martin Luther King Jr., and yet it is so much more than just words. He did not cower in the face of adversity. He spoke those words with passion and conviction. He challenged the world to stand up for the rights and equality of all men. I, too, have a dream. I, too, will not cower in the face of adversity. I believe that through Christ, we can restore personhood to the most innocent of our brothers and sisters: the children in the womb. Today, 3,000 of my generation will be silenced. Today 3,000 of my brothers and sisters lives will be ended simply because of their age. Today, I will stand up and share my dream, my idea, and my vision with the world. Please consider making a donation today to help support the life saving work of Stand True. Please click here https://give.cornerstone.cc/Stand+True and make a $10, $25, $50, $100, $1000 donation. Donations can also be mailed to Stand True – PO Box 890 – Troy, OH 45373 or call 540-538-2581 to donate by phone. What ever you can give will help us fight to end abortion. Please share this with your fiends, family, pastors and priests.